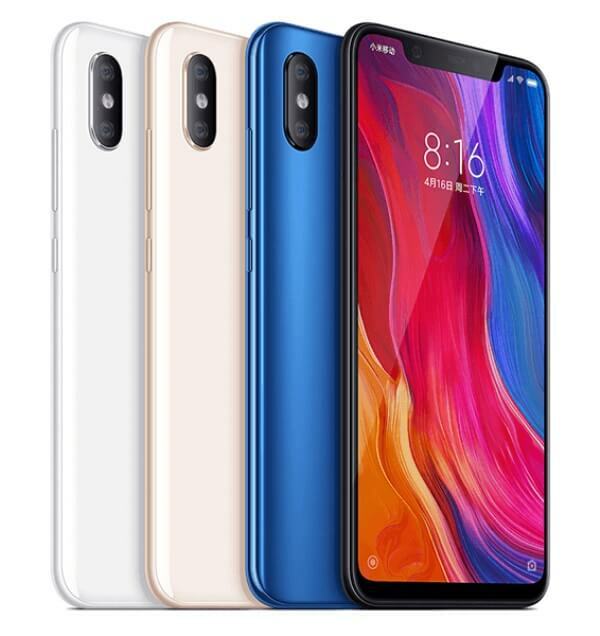 In China, Xiaomi has officially launched its latest flagship smartphone – the Xiaomi Mi 8. The Mi 8 flashes a 6.21-inch AMOLED display that gives off 2248 x 1080 pixels, translating to 18.7:9 screen aspect ratio. Under the hood, it is powered by Qualcomm Snapdragon 845 processor paired with Adreno 630 graphics. It packs 6GB of RAM and can be coupled with up to 256GB of internal storage. Moving on to its camera department, it features AI-powered dual 12-megapixel rear cameras, and 20-megapixel AI selfie snapper. It boasts 3400mAh battery with QC4+ technology, too. See Also: Xiaomi Redmi S2 Now Available in Limited Stocks! Meanwhile, Xiaomi has also announced the Mi 8 Explorer Edition that shares the same specs as the regular Mi 8, but with larger RAM and storage. In addition, it sports 3D Face Recognition, and in-display fingerprint scanner. However, it packs a smaller 3000mAh battery. The Xiaomi Mi 8 will be available in China beginning on June 4. It is priced at CNY 2,699 (6GB/64GB), CNY 2,999 (6GB/128GB), CNY 3,299 (6GB/256GB), and CNY 3,699 (8GB/128GB).